If you’ve paid any attention to me at all over the last few years, even though I’ve been a bit absent from the Homepage, you’ll know I’ve always preferred my superheroes somewhat serious. That’s often put me at odds with many other fans who argue that superhero stories should be light, fun and happy tales that make children smile and adults remember what it was like to do so. Shazam! is a film I think many will agree fits that description. While this isn’t a review of Shazam!, as this isn’t the “Once Upon a Time he was Captain Marvel Homepage,” but since I did end up going to see the film I can tell you that I thought it was fantastic. I went on a whim and because I had some unused “movie club that shall go unnamed” passes I didn’t want to lose and I’m very thankful I did. If you’re one of the fans who just wants to escape and have a great time smiling ear to ear through most of a film with humor that works, emotion that hits at the right time and heart that fills you with joy, Shazam! might be the movie for you. Plus, as an added bonus, and since this is the Superman Homepage, there’s quite a little extra what what towards the end of the movie. Now you may already know about this, but if you don’t and if maybe the title of this article didn’t already give it away then scroll away now, click away now… for The Wizard’s sake please don’t read any more! But seriously, we Superman fans know that our Man of Steel in a slightly altered suit makes an appearance in the lunchroom of the now Philadelphia school called Fawcett High. You see, in what feels to me as a first for the DCEU, one of the DC heroes is given a real world home city location and that city is also my hometown… Philadelphia. Fawcett Comics was once the proud owner of the character previously known as Captain Marvel, and so naming the school in honor of that history seems apt. There are also some other great Golden Age shout outs, cameos and call-backs so that’s something else to look forward to. But I digress, I’m here to describe Superman’s appearance in the film. While Cavill himself does not appear in the movie, (something about a contract that was only good for three films and the idea that Warner might be moving away from what started as a more gritty take on its famous heroes), Superman certainly does; or at least, his body does. Billy Batson, in his more powerful form as the character who calls out “Shazam” to become a superhero, shows up to rebuild Freddie Freeman’s reputation after Freddie earlier promised the hero would show up but then Billy failed to do so. Then, in perhaps what was meant to be an unexpected cameo, Billy announces he’s brought another friend to lunch and, in walks Superman. At first we see the character from the side, waist to shoulder and while we do, there’s a tiny, listen to something else and you’ll miss it (which I did while in the theater), bit of John WIlliam’s Superman Theme. It’s certainly not loud and boisterous, but it’s there, and it’s humble and respectful. The camera spins around to show us the awed children in the lunchroom, shocked as they might be by a Venusian Space Worm seeing the surprise visitor from another planet. The camera shifts back to Freddie’s table, where Billy’s magical hero sits on one side of Freeman and Superman comes to a stop on his opposite side. 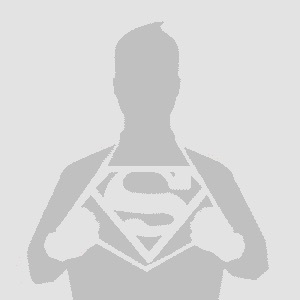 In that moment, Superman turns to face the camera, preparing to sit, and though we still only see him waist to shoulder, a quick view reveals some added gold/yellow and red around the belt area of his iconic uniform. Superman stands for mere seconds and we see his lunch tray, containing a bottle of milk and some food and his full chest symbol. Freddie lets out a gasp and a yelp and then credits roll. The music used for the credits was exciting and the doodles of other DC heroes accompanying the credits were charming. I personally was left wondering if maybe they should have left out the Superman cameo, since they didn’t show his face, although it seems almost symbolic that the powers that be could be trying to show that people are awed at what Superman stands for, and what he brings to the table, other than milk, rather than what his face might look like. Thinking it over, it could also serve as an explanation of why, perhaps, people don’t recognize him as another person. The personality, the regality and the presence so strong, children and adults alike lose their minds and can think of nothing else. I know I’ve certainly felt awed by the character in my tenure as a fan. Well the tone of levity should be balanced off a particular scene(s) not the whole structure of the film. A past camp fest of total nonsense can’t be any more evident than what was tried in Superman3. It was way over board from the beginning to the end. Never want to see Superman’s character put in plot structure like that EVER again. Cool cameo. Maybe this is a hint to things to come? I agree, keep things balanced is a great idea. I’ve had heard of this pseudo appearance. Wasn’t sure if it was true, now I know. So with this somewhat cameo of Superman, is his suit back to the darker shade of blue? From what I could tell from the image,It looks darker than it did in Justice League. In my opinion, I think they just showed him for the sake of Shazam’s history with Superman. Superman was an influence for Billy to become a hero. I haven’t seen the film yet, but I’m guessing that that’s going to be the case here with that scene. I thought it was pretty cute… And if the Superman of the DC films has “turned the corner” from being needlessly dark (I stand by that assessment!!) then it was a refreshing play with the character. Scotty V. Great to read about your point of view. Miss your great Scott segments. I read that the initial plan was to have Henry Cavill do the Superman cameo at the school, but they couldn’t work it out with him schedule-wise. Decent review!! Unfortunately and not trying to be overly negative, but with all that’s previously happened I don’t think we’re ever going to see the Justice League again. Even if it had done better at the box office, they gave little to look forward to in the way of any sequels. I think from here on out we’re only going to get single character stand alone movies. “with all that’s previously happened I don’t think we’re ever going to see the Justice League again.” I agree with that assessment redcape. Unless the people in charge of making these films say otherwise, I doubt we will be seeing the Justice League on film any time soon or ever again for that matter. Ha ha ha,Casa Del Lex. That’s funny sundevil82.I got that one. I am wondering how Shazam will do in the long run though. I heard that it had a big opening. But I’m wondering if it will start to decline in viewers, or will it maintain or grow in its audience. I guess it’s just a matter of wait and see what will happen at this point. Thanks for the compliment sundevil82. It has good word of mouth so I think it will have legs until Endgame comes out. Even then I think it will remain in the top 5 for a while. Thanks for the compliment redcape. That’s interesting that you mention that. As I said before, I’m not a Shazam reader so I don’t know what goes on with all the legal stuff with that character. So it’s because DC bought the rights to Shazam and the movie was acknowledging that history? Watched it today, not bad. Definitely enjoyable. The cameo was a nice little addition even without the face being shown. I thought Shazam was a fun time. Not the greatest Superhero movie ever – but certainly not the worst. Anyway, I REALLY wish Henry had done the cameo – it would have been an absolute home run…oh well. To greater or lesser degree I agree with Kurt Busiek’s assessment: it’s a good movie about Geoff Johns Shazam! but not really Fawcett Captain Marvel. I think it would have been nice if they’d found a spot somewhere in the middle. Probably the oddest thing for me is that I can’t stand the New 52 inspired costume design on Billy’s superhero form but I think it looks alright on the rest of the family.